We love playing BINGO on holidays and movie nights, and this year we’re going to play during the big game! 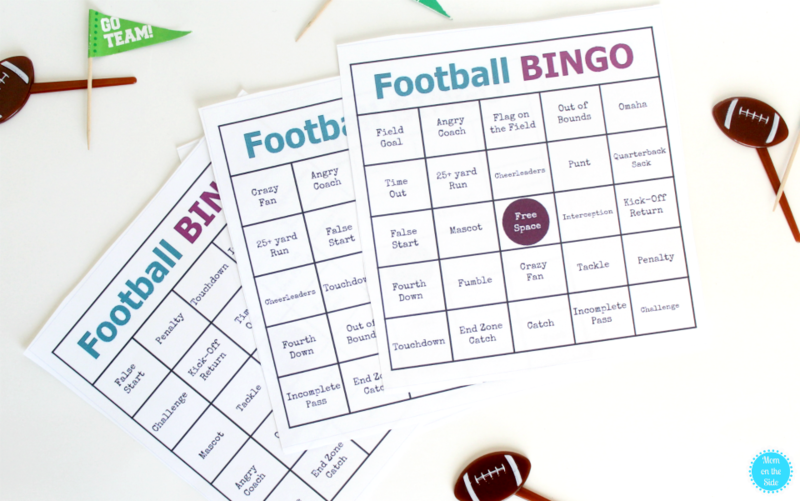 I created some fun printable Football BINGO cards for a fun family challenge. Look for things like fumbles, touchdowns, an angry coach, and more. It’s also a great way to talk football terms with younger kids who are just getting interested in the game. 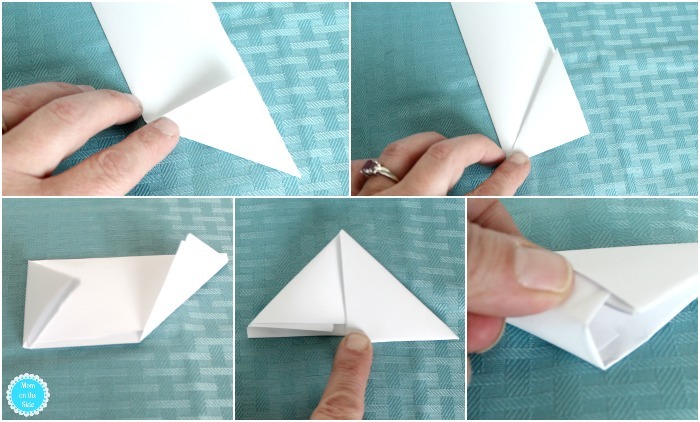 Remember paper footballs we’d fold up in school? Make a few of those for the kids (and probably husbands) to play with during the game! 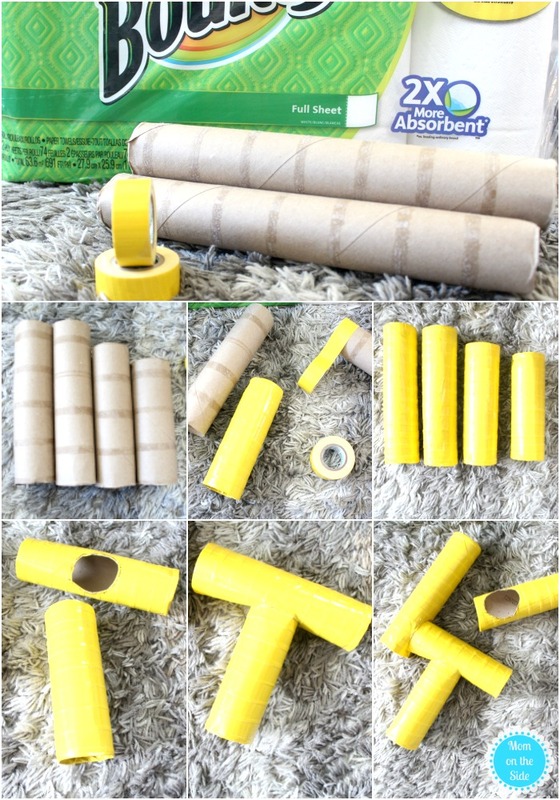 If you don’t remember how to make them, here’s a quick and easy flick football tutorial and fun goal post idea using tubes from Bounty Select-A-Size Paper Towels. Step 1: Cut a piece of printer paper in lengthwise wise. Step 3: Begin folding the paper up in triangle shapes, folding left to right, until you have about 2 inches left. Step 4: Fold the other end up so you have a triangle. 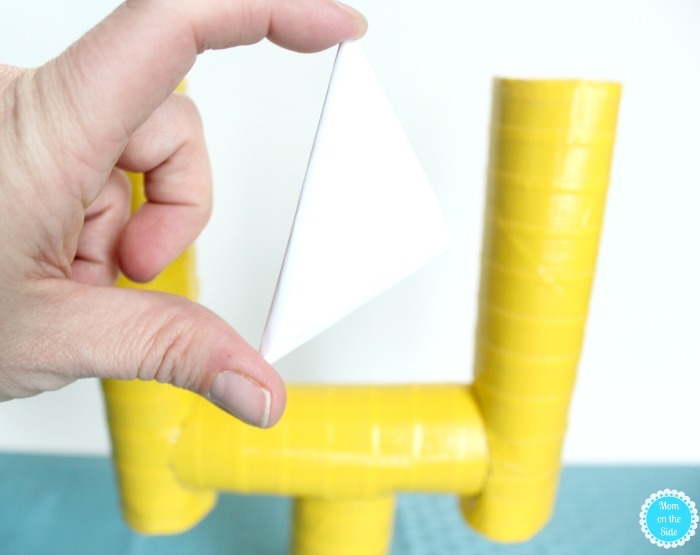 Step 5: Tuck the single fold into the triangle to form a football. Step 2: Cover all the roles with yellow tape. Step 3: Trace a hole into the middle of medium tube and cut out. Insert the base. Step 4: Trace holes onto one end of the long tubes and cut out. Insert them onto the medium pole to form the goal post. Place the goal post on the floor or table for so the kids can challenge each other to see who makes the most field goals. Mix things up by moving farther back or playing blindfolded. With the big game on Sunday, no one is going to be looking forward to Monday morning, even more so than a typical Monday! Cleanup is a family affair around here so it goes quickly before bed time. Mom tackles all the dishes that soak in Dawn dishwashing liquid so the game can be enjoyed first. My oldest two will clear the party table and refresh the air with Febreze ONE, probably with grumbles and groans. My twins, however, LOVE to help mom clean, especially Mr. Oliver. 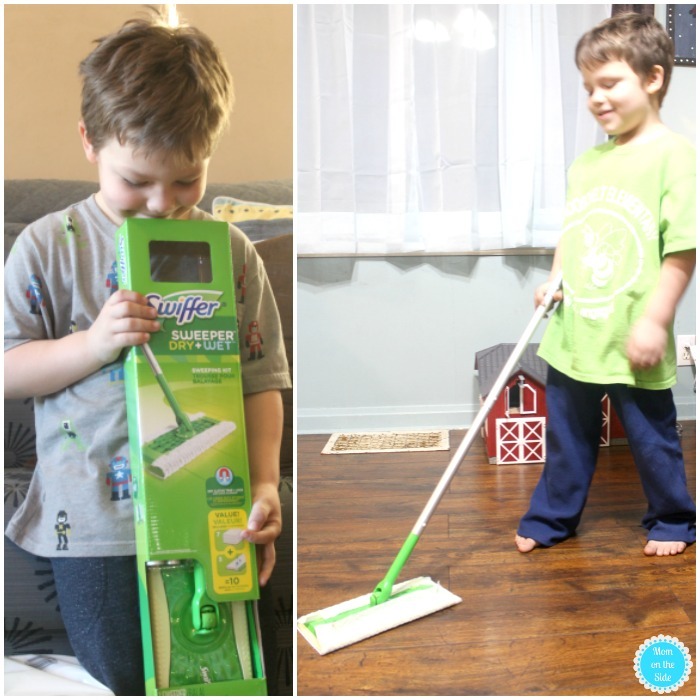 He begged me to open the Swiffer Sweeper Wet + Dry Kit so he could use it because he saw a commercial and thought it looked really neat. I call it a touchdown when a kid gets excited about new cleaning supplies. 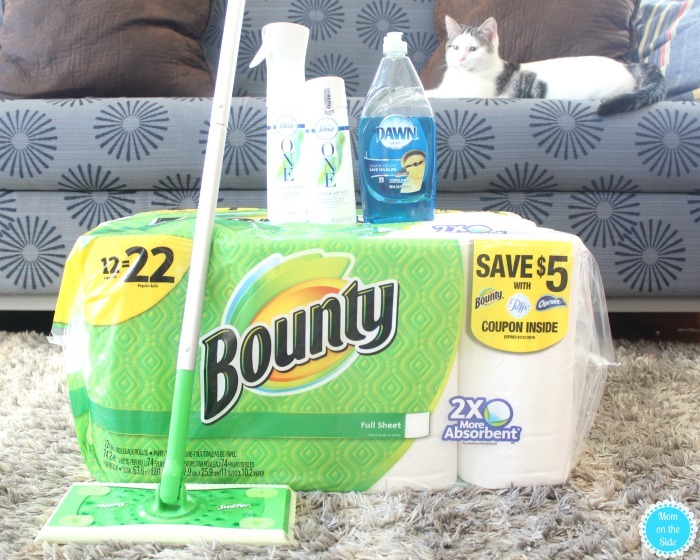 Earning cash back on clean-up with ibotta is another thing I call a touchdown and just in time to stock up for the big game! Right now, if you buy one product, you get $0.50 back with the ibotta app, PLUS earn an extra $1 back when you purchase 2 participating P&G products at Walmart! 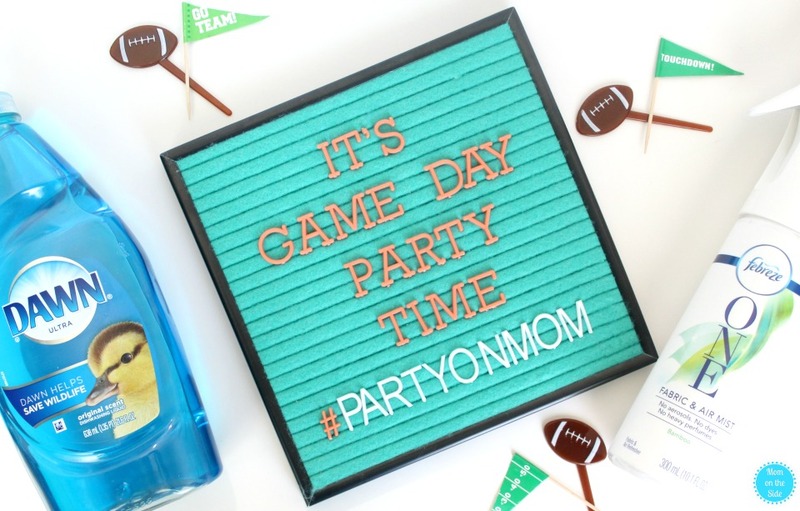 What are your family football game day party must-haves?